The next gathering will be on Sunday 5th May 2019. Meet either in the carpark below the White House pub at midday or at the gathering place about 12.30 – 13.00. Come and join us! All are welcome. No charge, no booking needed. We walk up to the rocky outcrop on Blackstone Edge, picnic and sing to remember the great Chartist gathering there in 1846. Then we repair to the pub. “We” are a gathering of choirs, individuals and small groups. 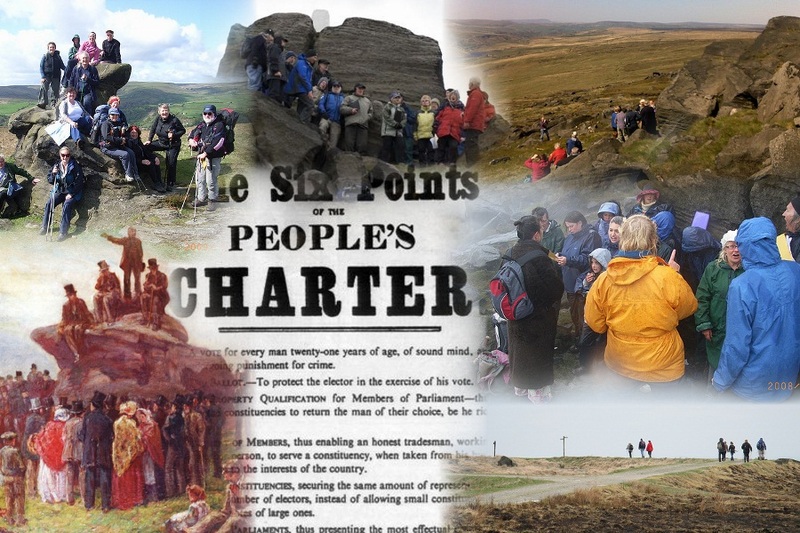 We sing Chartist and other songs; sometimes people read poems or speak about the Chartists. You can join in the singing or just listen. If you have a flag or banner for your choir/group, please bring it with you.